A sampler including the full-bodied Blenheim, Marrakesh, No.10, and Chequers. If you haven't smoked a Winston Churchill cigar yet, you're really missing out. 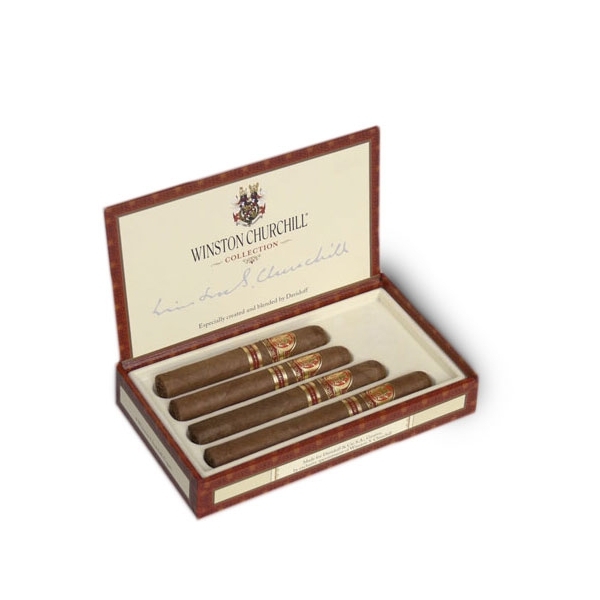 The name "Churchill" has been synonymous with cigars for as long as most of us have been smoking them. 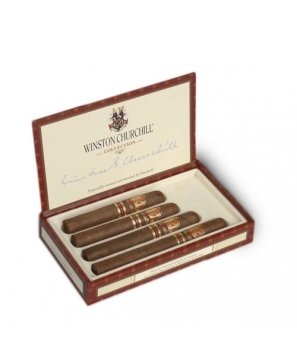 Davidoff has been commissioned to make the cigar brand commemorating Sir Winston Churchill's name and legacy. The blend of tobaccos is incredibly diverse, and the flavors equally so. It's full bodied and rich, with a welcomed balance. This sampler makes a great gift, and includes one each of the Blenheim, Marrakesh, No. 10, and Chequers.